This is still very poor resolution by optical standards. 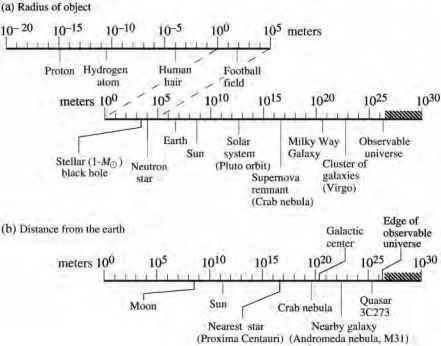 Radio astronomers, nevertheless, obtain spectacular angular resolution by using widely separated telescopes working in concert (interferometry), to <0.001" as noted above. 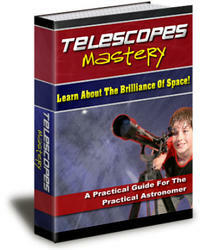 The separation between two such telescopes effectively increases the telescope size, d (see Chapter 7). Larger telescopes do not improve the situation, as would be the case if diffraction were the only limiting factor. Atmospheric turbulence limits the resolution, or seeing to about 1" or at best ~0.3". Thus, the best possible resolution can be obtained if the telescope is only ~0.4 m in diameter and if the atmospheric turbulence is minimal. For telescopes in space, the atmosphere is no longer an issue, and larger diameters do help. The 2.4-m Hubble Space Telescope (HST) was designed to approach a theoretical resolution of 0.05" (at X = 500 nm). In principle, the new generation of ground-based telescopes of ~ 10-m diameter have a diffraction limit of 0.013", but resolution at this level can not be attained without additional measures described below. Present x-ray grazing incidence telescopes are not limited by diffraction because the wavelengths are 1000 times smaller than optical wavelengths. Rather, they are limited at present by the quality of the metallic reflecting surfaces (mirrors) to an angular resolution of about 1". The mechanical collimators discussed above are another factor of 100 removed from this limit. Thus diffraction plays no limiting role in x-ray astronomy imaging today.